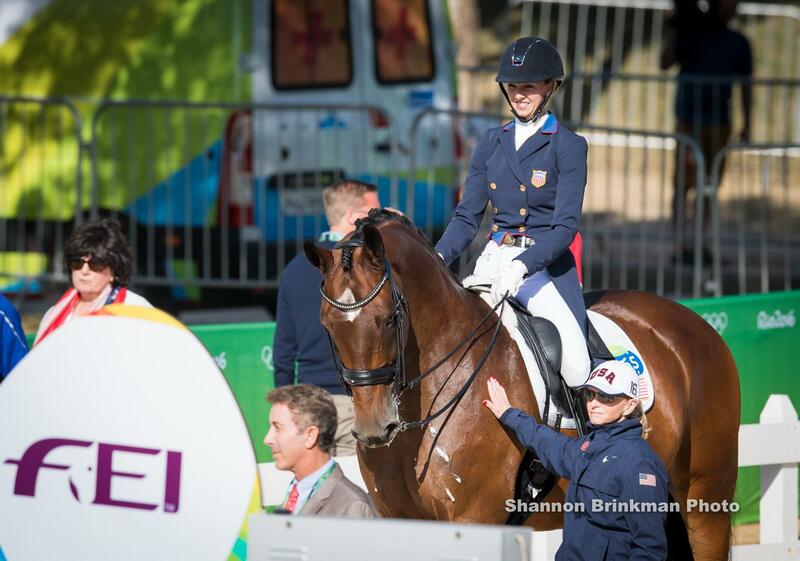 Mill Spring, N.C. - The U.S. Dressage athletes are strong contenders for medals at this year’s FEI World Equestrian Games™ Tryon 2018. Technical Advisor and Chef d’Equipe Robert Dover, U.S. athlete Laura Graves, and her coach, Debbie McDonald share their philosophies and the importance of a positive mindset, care for the horses’ mental states, and envisioning a goal when competing and preparing for major events. With years of day-to-day training with many athletes and their horses, Debbie McDonald, newly appointed Technical Advisor and Chef d’Equipe for the U.S. Dressage Team as of December 1, 2018, shares a tip she discovered to be a huge game-changer in her coaching technique and strategy. A large part of McDonald’s job as a coach is to assist athletes and their horses to perfect the finest of details, earning each point they can from the precise movements that the sport of dressage requires. She finds that being cognizant of the positive verses negative communication used with her athletes can make a big difference in how that athlete processes that information and moves forward. Each athlete named to The Dutta Corp. U.S. Dressage Team works hard in preparation to garner every point they can from the judges, in their quest to achieve a personal best score. In order to accomplish that feat, the horse-and-rider combinations spend countless hours honing in on the power and fluidity of moving from one movement to the next. One such combination, Laura Graves and Verdades, or “Diddy” as he is affectionately known, have honed their communication and positive mindset. Graves also shared a great concept she’s learned to find the key to unlocking Verdades’ brain. Graves explained her approach to training has been influenced by the book The Talent Code, by Daniel Coyle. “My mindset with each horse, including Diddy, is a little bit different than how most people may look at the training in our sport and how they may look at training in general. I am often surprised by the feedback I get [from people watching] because they can see the horse has actual learning going on,” Graves explained. “My job, number one, is to advocate for the horse, and if the horse is learning, they are also enlightened and they want to participate in that learning,” she said. 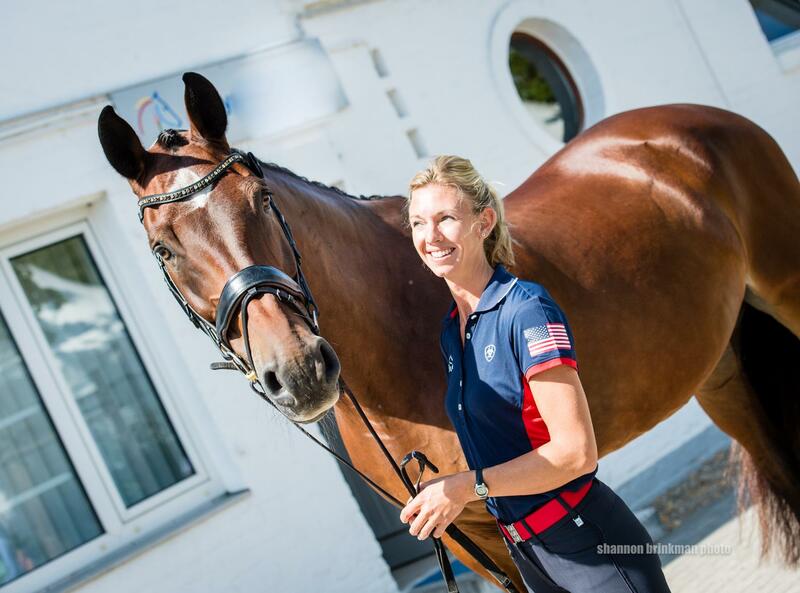 The positive mindset of an athlete, whether during an international competition, training with positive language or building great brain-to-body connections with the horses are the great building blocks for the U.S. Dressage Team. We all look forward to cheering them on the first week at the 2018 FEI World Equestrian Games™ Tryon 2018. Be sure to watch them in action.